While we continue to await the release of Curren$y‘s highly anticipated Pilot Talk 3 album, Spitta Andretti continues to keep us entertained until the LP arrives. 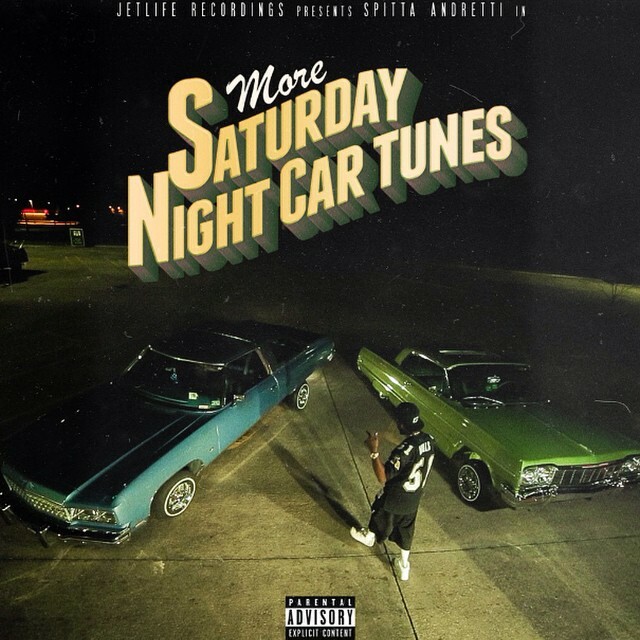 Over the past few weeks, Spitta and his Jet Life crew released two mixtapes Unorganized Crime and Audio D, but tonight the boss is back on the solo tip with the release of his More Saturday Night Car Tunes mixtape, the follow up to his Saturday Night Car Tunes EP that released back in August. The 7-track project has Curren$y delivering some dope new tracks for us to bump in the whip or spark up to. Features on ‘More Saturday Night Car Tunes’ come from Wiz Khalifa and Mac Miller with produced by Cardo, Joey Fatts, SAP and Sledgren. Be on the look out for Pilot Talk 3 as we should be expecting it’s release soon. For now just roll one up and smoke it to some new music from the NOLA rapper for the weekend.